This novelette is a companion book to The Many Lives of Ruby Iyer. A peek into the soul of an angry, young girl, who will come of age in a city on the verge of total annihilation. Ruby kept a diary from the age of ten till she ran away from home at sixteen. It is from here that I picked out a few diary entries for The Ruby Iyer Diaries. This short series of vignettes from Ruby's life, tells you more a little more about Ruby Iyer's origins. A near life experience told Laxmi Hariharan to write...She never stopped. Laxmi is the creator of Ruby Iyer and the Bombay Chronicles (The Destiny of Shaitan). London is where she writes. Bombay is what fuels her imagination. 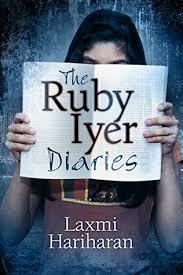 I have read The Many Lives of Ruby Iyer and loved it. So when I was approached to read this novella there was no way I was saying no. Ruby was someone I have enjoyed and I continue to do so in this book as well. This book is a prequel to the book I have read and is kind of the story behind what made Ruby the Ruby we saw in that book. I like how she takes us back into time and tries sharing snippets about the character Ruby along with those incidents which make her what she is today. Complete accolades to the author for doing full justice to it. She manages to make the reader connect with the character so well that for a moment it all feels surreal. The book is very short, some 49 pages and is a perfect weekend read with a nice cup of coffee to pep up your senses pushing you to pick up these series and read them all together. I bet you will be left asking for more! 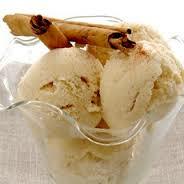 This book is like cinnamon ice cream- unique with a lingering taste.